This Jan. 8, 2017 file photo shows Milo Ventimiglia, left, and Mandy Moore at the NBCUniversal Golden Globes afterparty in Beverly Hills, Calif. The season finale for the popular time-twisting family drama will air Tuesday at 9 p.m. EST on NBC. 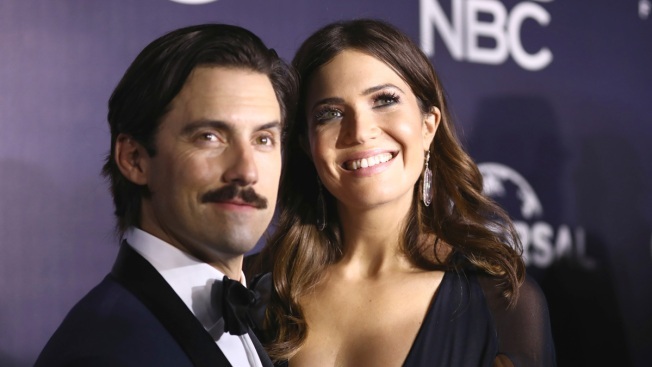 The popular NBC television show "This Is Us" spent Tuesday night's episode exploring the much-awaited cause behind the death of the character Jack, played by actor Milo Ventimiglia, the father whose death changes the lives of his children in the future. In the episode, Jack's last moments are spent trying to spend time with his family. Jack wanted to enjoy the 1998 Super Bowl with his family and their new entertainment system that he built, but all the kids had different ideas. Kate, played by Hannah Zeile, was struggling with her self image as she had to submit another audition piece to get into college, and didn't want Jack to film her or to keep telling her how beautiful he thought she was. Kate skipped the game with her father to go watch at a friend's house. Randal, played by Niles Fitch, wanted to skip to take his girlfriend on their first date when they shared their first kiss, and Randall got the chance to tell his dad that when he got home. Kevin, played by Logan Shroyer, fought both of his over college and ended up spending the evening with his then-girlfriend Sophie. He eventually called home to tell his mom he was sorry but waited to call his father. Before going to bed, Jack dried some things with a dish towel, gazed at the wall where the kids' heights were recorded, and turned off the "wonky" crockpot, received from a neighbor. Moments later, the crockpot light goes on and off before catching on fire. The dish towel, a gift from Jack to Rebecca, wrapped around a bracelet catches on fire and makes it way onto the wall with the heights. In last week's episode, the smoke detector is out of batteries. "This Is Us" airs Tuesdays at 9 p.m. on NBC, but the next episode airs after the Super Bowl on Sunday, February 4.